Lawrence police investigate at the scene of a double shooting on Friday, March 29, 2019, at Holcom Park, in the parking lot at 26th Street and Lawrence Avenue. 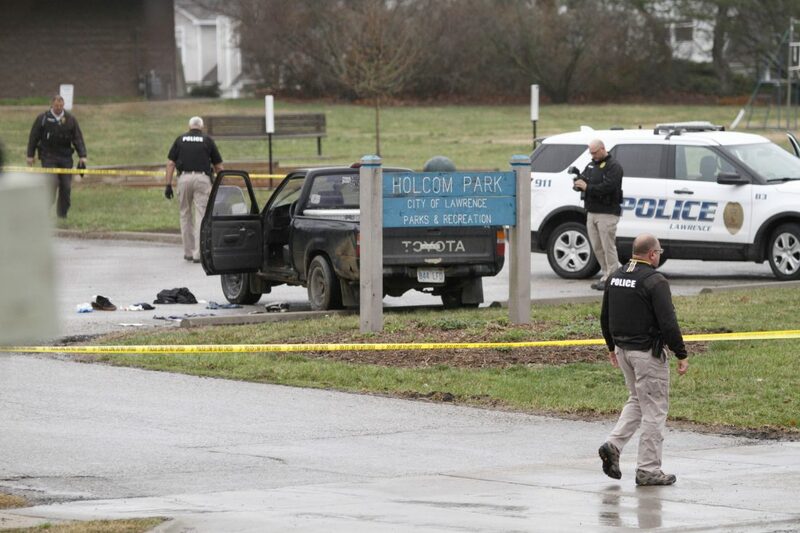 Two teenagers were shot and wounded — one critically — Friday afternoon at Holcom Park in southwest Lawrence. 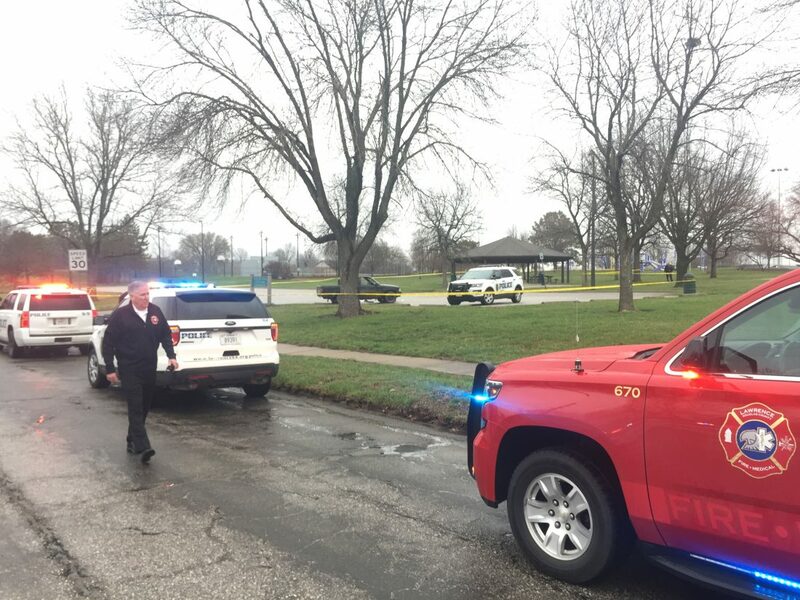 The shooting was reported just before 4 p.m. near the park’s Lawrence Avenue entrance, just north of 27th Street, where police had enclosed the parking lot and adjacent shelter house with crime scene tape. Early Friday evening, one victim, 18, was reported to be in critical condition with life-threatening injuries, Sgt. Amy Rhoads said in a news release. The second victim, 16, was in serious condition. The victims, both male, were taken by ambulance to area hospitals, she said. Police were not looking for suspects Friday evening, Rhoads said at the scene. Within an hour of the shooting, two males described as persons of interest had been detained for questioning, Rhoads said. She said witnesses at the scene gave officers a “distinctive” vehicle description. 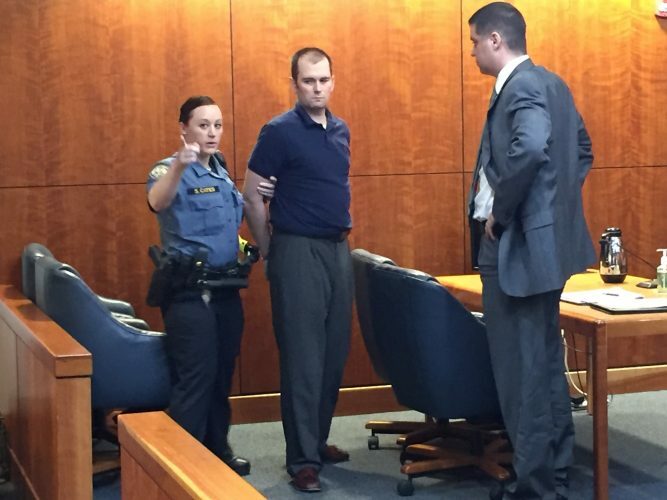 She said law enforcement stopped a vehicle matching that description on Interstate 70 outside of town, and the two people inside were taken into custody. The vehicle was stopped near the Lecompton exit around 4:30 p.m., according to emergency radio traffic. One suspect in the shooting reportedly may have had an assault-style rifle, according to radio traffic. After the shooting, a small black pickup truck — which Rhoads confirmed was involved in the incident but did not share how — was left in the parking lot, with its windshield wipers on and driver’s side door open. Several articles of clothing and tennis shoes were strewn on the ground next to it. About a dozen police vehicles were stationed at the scene, along with the Lawrence Police Department’s mobile forensic unit. Detectives and forensic investigators were working the scene early Friday evening. Lawrence police ask anyone with information to call the department at 785-832-7509 or, to remain anonymous, call Crime Stoppers of Lawrence and Douglas County at 785-843-TIPS. — Journal-World staff contributed to this article. 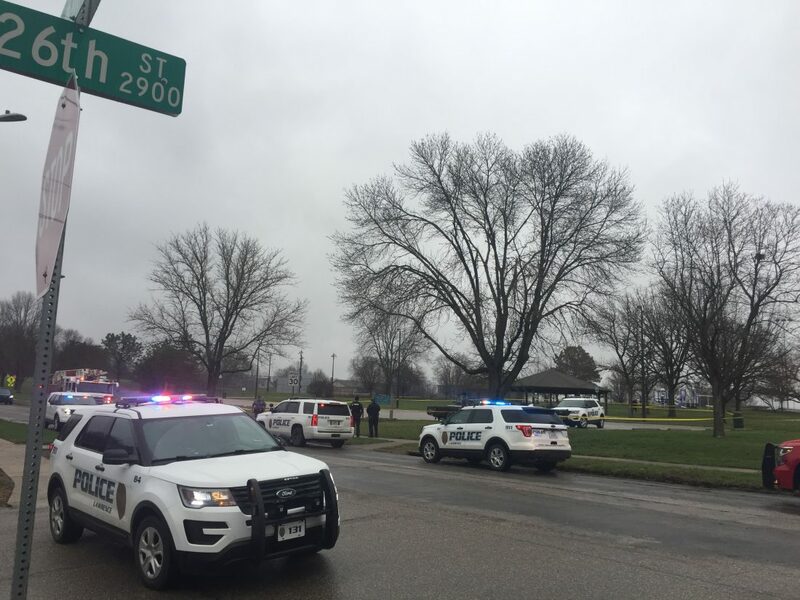 Lawrence police and medical units respond to a shooting at Holcom Park, 2700 W 27th St., Friday, March 29, 2019.